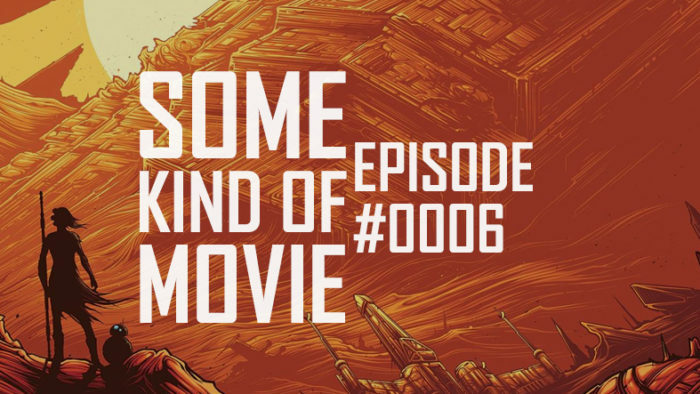 Some Kind of Movie – Ep. 6: That’s Not How the Force Works! We good on spoilers now? It’s a new year, you’ve had two whole weeks to go see the new Star Wars movie and forget about it, along with everything else, in a wonderful night of drinking. Let us help you remember The Force Awakens as we talk about the things that worked, the things that didn’t work, and try to figure out exactly what kind of movie it is. That’s the point of these rare Some Kind of Movie episodes, after all. And just to be clear: we’re not trying to spoil anything for you, but we are talking about the plot of this movie in detail. We are operating under the assumption you’ve seen this movie. If you haven’t, go see it first. Everyone else did. Do you really wanna be the only one who didn’t? Is that the reason you want people to think you’re special for? That’s a lame reason. Learn to play the piano or something. Don’t define yourself be the experiences you avoided.